There are plenty of apps available for batch cropping and resizing your photos. 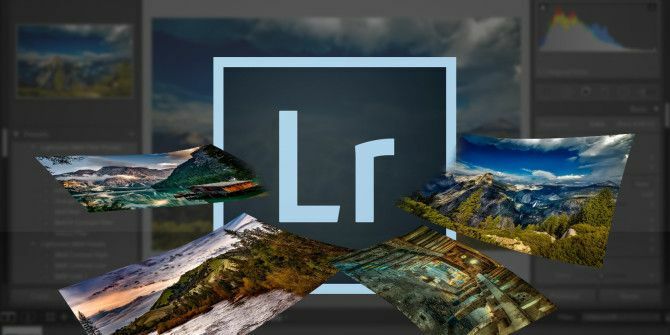 But if you already use Lightroom to edit your photos How to Use the New Lightroom CC: The Basics You Need to Know How to Use the New Lightroom CC: The Basics You Need to Know Want to learn to use the new Lightroom CC? Here's a quick overview of all the features you need, as well as some help navigating the new interface. Read More , you might as well use Lightroom to quickly crop all your photos down to size. This can be particularly useful if you’re looking to crop all your photos for posting on Instagram. The catch here is, of course, that you can’t choose which part of your image will be preserved. If the photos aren’t already in one folder you can add them to a new collection. Select the images you want to crop and then go to Library > New Collection. In the window that popups, you can choose a name for your collection and make sure that Include selected photos is checked. If you want to, you can also check Create virtual copies, but because of Lightroom’s nondestructive nature this isn’t entirely necessary. It is useful, however, if you want to make easy comparisons. Under Saved Preset find the Crop Ratio dropdown menu, select the ratio you want to use. By default you can choose from some popular formats include 1×1, 4×5 / 8×10, and 5×7. Once you make your selection – all the photos will be instantly cropped to the new ratio. You can easily revert to the original ratio from the same dropdown menu. Explore more about: Adobe Lightroom, Batch Image Editing, Image Editing Tips.